1. Provide a venue for reviewing the evaluation results for recently-implemented bicycle safety projects, including those implemented on Cambridge Street, Brattle Street, and various segments of Massachusetts Avenue. Note that the results of these evaluations will also be shared with the existing Cambridge Street Stakeholder Working Group, the Harvard Square Business Association, and other key stakeholders associated with these projects. This review will focus on the design and effectiveness of bike lanes, not the existence of the bike lanes. 2. Provide input regarding how to improve the engagement process to be used in future bicycle safety (and other transportation infrastructure) projects. This input will be used to inform outreach going forward and create a process that effectively integrates inputs from a variety of sources. To create this group and solicit this feedback, the City will be working with The Consensus Building Institute (CBI), a neutral third party, to identify the members of this committee and facilitate the discussions. CBI will start the process by conducting 30-40 interviews with a representative set of stakeholders in the community about their experiences with bike lane projects in the past and their perspectives on how public process on bike lanes should be conducted in the future. Based on these interviews and feedback, CBI will provide recommendations to the City Manager for convening the Bicycle Safety Project Review Committee to have a dialogue about effective public process when considering bicycle projects in the future. CBI will then facilitate the discussions of this group over a set period of time (most likely between 12-18 months), to accomplish the two scope items described above. CBI will also provide recommendations for re-engaging the existing stakeholder advisory committee developed for the Cambridge Street project, and for engaging Harvard Square businesses and other stakeholders in a conversation about the Brattle Street project. CBI expects to begin work on the stakeholder interviews in the very near future. While the Cambridge Bicycle Safety Project Review Committee’s work is underway, current and future separated bicycle network projects will still move forward, such as South Mass Ave near MIT and Mount Auburn Street in Harvard Square. It is the hope that the early lessons learned from this review committee can be integrated into these processes. 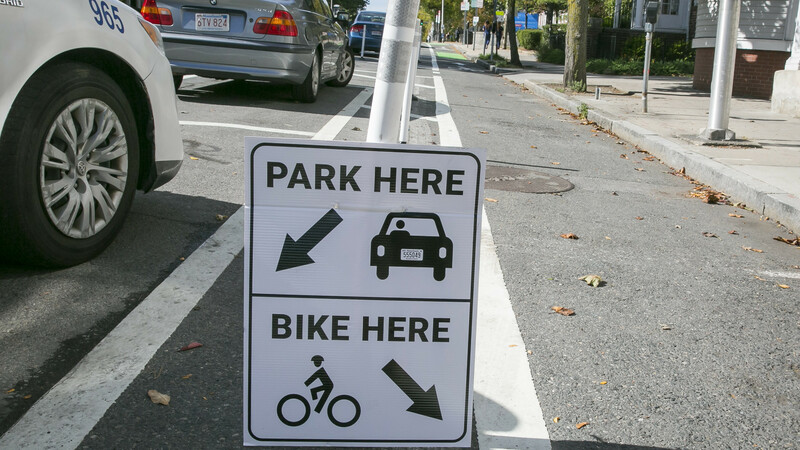 For more information about the Cambridge Bicycle Safety Project Review Committee, please contact Joseph Barr, Director of Traffic Parking and Transportation at trafficfeedback@cambridgema.gov or 617-349-4700.